Hello, everyone ... I hope you are having a Great Week so far! 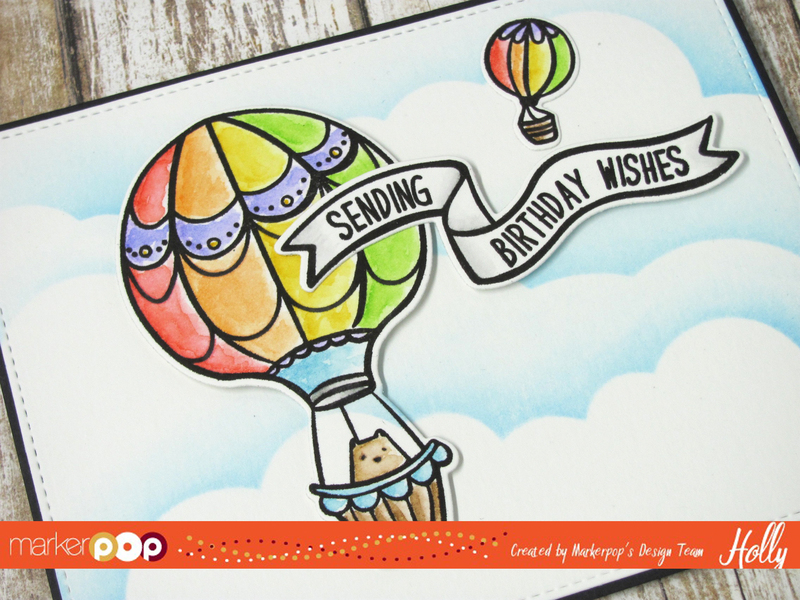 Today I'm on the MarkerPop Blog sharing a cute card featuring new products from Waffle Flower Crafts. I started by die cutting a piece of Bristol cardstock and then I created a sky background with the MFT Cloud Stencil and some Salty Ocean Distress Ink. I adhered the panel to a A2 sized Black card base. 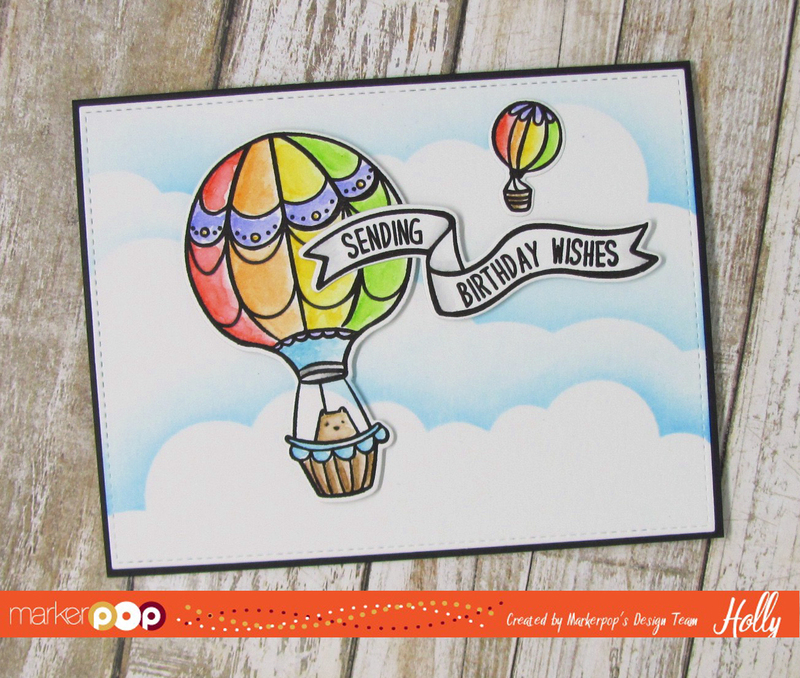 I stamped the images and sentiment banner from the Waffle Flowers Crafts new Across the Miles Stamp set with some VersaFine Black ink. Then I colored the images in with some Distress Markers and a Waterbrush. Abandoned Coral, Dried Marigold, Mustard Seed, Twisted Citron, Tumbled Glass, Shaded Lilac, Tea Dye, Vintage Photo & Hickory Smoke. Once the images were dry I used the coordinating die cuts to trim them out. I adhered each image to the front of the card with some foam adhesive for some height. This is a really a Cute set if you haven't checked out Big Bear and Bird you can find more info on them here. Don't forget to join in our Bi-Weekly Challenge for a Chance to Win our Summer Fun Prize Pack! !